Southern Spirit Music Blog: Royal Southern Brotherhood - heartsoulblood ( 2014 ) The South ( music ) is rising again ! 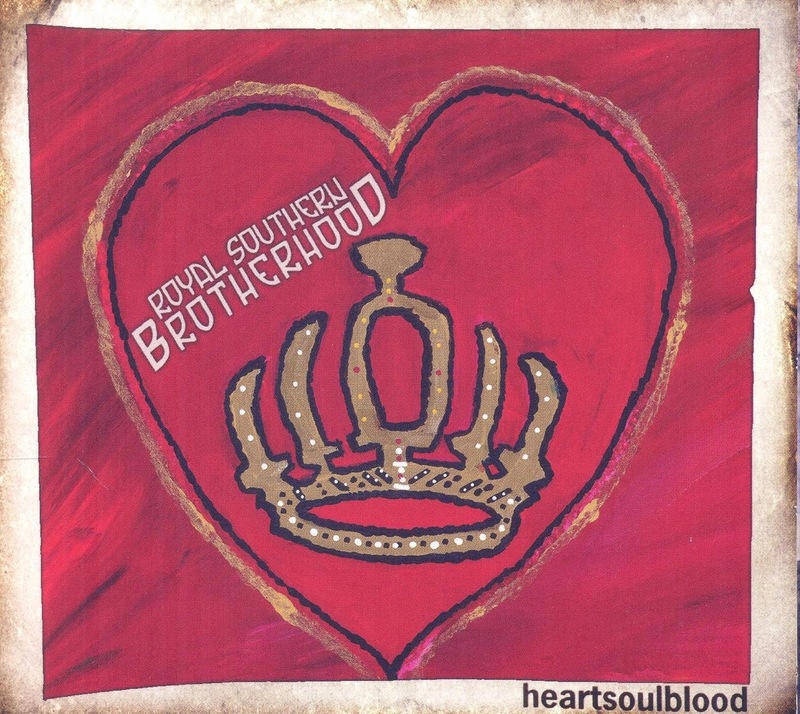 Royal Southern Brotherhood - heartsoulblood ( 2014 ) The South ( music ) is rising again ! Fresco di pubblicazione, heartsoulblood è il secondo album del supergruppo Royal Southern Brotherhood, fantastica band che può realmente fregiarsi del titolo di supergruppo vantando come membri fondatori i grandissimi Mike Zito, Cyril Neville e Devon Allman. Dopo il folgorante esordio con l'album omonimo nel 2012, questo secondo lavoro conferma ancora una volta la straordinaria creatività e talento musicale di questi immensi musicisti regalandoci un travolgente mix di Southern Rock, Blues e Soul a livelli di assoluta eccellenza. The Beginning……Mike Zito, Devon Allman, Cyril Neville ~ The soul of the south. Amplified soul for the new generationBefore they even hit a chord, The Royal Southern Brotherhood have your attention. In the US South, where music is religion, two rock ‘n’ roll bloodlines tower above all others. In the saloon bars from Mississippi to Maryland, mere mention of the Allman and Neville Brothers casts a magic spell. Conversation falls silent. Pool balls stop rolling. Ten-gallon hats are tipped in respect and beer-bottles raised in salute. These aren’t just bands, they’re gods, and with a lineup comprising both the iconic Cyril Neville and Devon Allman, The Royal Southern Brotherhood come pre-loaded with expectations. Don’t worry: they can match them. The family tree might be auspicious, but this new band trades on talent, not genealogy. It’s not about rock history: it’s about the here-and-now.This lineup has talent to burn. You’ll already know Cyril Neville: poet, philosopher, percussion master and perhaps the South’ last great soul singer. Devon Allman. As the son of Gregg Allman, the 39-year-old has rock ‘n’ roll in his DNA, but he’s always walked his own path. Mike Zito: the blues ace whose ear for melody provides the counterpoint to his wingman’s rocking tendencies. Nominated in 2011 for the Blues Music Foundation’s ‘Best Blues Rock’ award, and winner of 2010′s Blues Music Award. Bassist Charlie Wooton and drummer Yonrico Scott: both heavyweight names in their own right, with Charlie’s bass chops celebrated on the Southern jam scene for his sets with the Woods Brothers, and Yonrico hitting the skins for luminaries including the Derek Trucks Band, Gregg Allman and the Allman Brothers themselves.They said that rock ‘n’ roll was dead, but they were wrong. Right now, in 2012, there’s something in the air, as The Royal Southern Brotherhood drag their thrilling new brand of blues-rock and white-hot musicianship from the Southern States onto the world stage. The South is rising again. Come along for the ride.